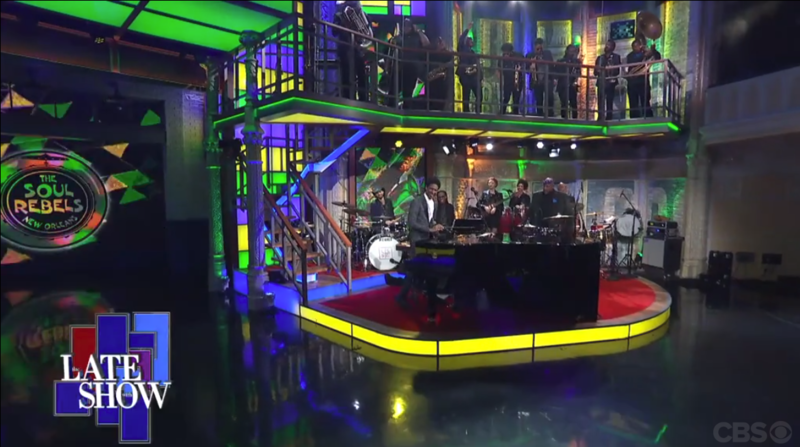 The Soul Rebels perform their song "504" with Jon Batiste & Stay Human on last night’s The Late Show With Stephen Colbert. This national TV appearance highlights their modern New Orleans sound – a blend of funk and soul with elements of hip hop, jazz and rock all within an eight-piece brass ensemble. Columbia Artists announces The Soul Rebels, American jazz trumpeter Christian Scott and soul-singer Tonya Boyd-Cannon on tour together for the first time in Fall 2018. “Turn It Up! The New Sound of New Orleans” combines topnotch musicianship and tunes that celebrate dancing, life, funk and soul.